Click button below to make a payment. This is a unique Japanese cooking experience for tourists and residents alike. 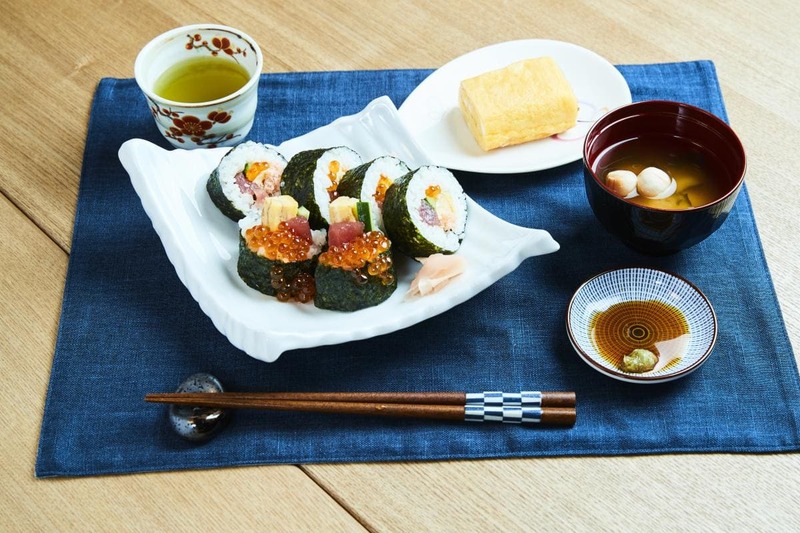 Participants will make Maki rolled sushi. Learning about a country through cultural workshops and activities will give you a better understanding of our intricate history, valued social principals and holistic way of life. By learning about Japan and its people, you will be immersed in different perspectives and approaches that are unique to this country. Maiko Kitchen offers you opportunities to understand this culture through local instructors and guides. There is no better way to learn about a new place from the viewpoints of those who grew up and live in this amazing country. What better way to spend a day than learning a traditional, beautiful new activity with a knowledgeable tutor in a picturesque setting? You wouldn’t find friendlier people to help you experience Japan in all its splendor. 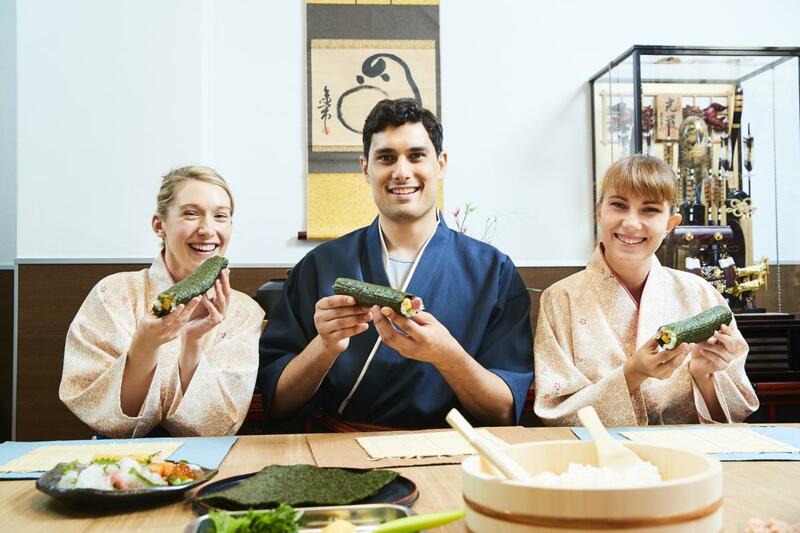 The Japanese Cooking Workshop provides you will a once in a life time experience: learning traditional Japanese dishes from local cooks in Japan! Osaka is considered the food capital in Japan and there are many appetizing dishes from the area for you to try. Not only will you get to eat this delicious food, but learn how to make it yourself so you can make a feast back at home! In this workshop, a qualified instructor will walk you through step by step of a customary Japanese meal. There are a range of different cooking courses for you to choose from, including lunch, dinner and confectionery classes. The last one is very unique as Japanese desserts have a distinctive flavor as the history of cooking in Japan didn’t include processed sugar till only a few hundred years ago. You will learn even more about the flavors of Japan, as well as the range of utensils used and explanation of the techniques required, while cooking a great meal as well! *** Please let us know if you have any food allergies, Halal, vegan or vegetarian preferences. Book online and get your voucher via email instantly! Maikoya Osaka offers unique cultural experiences where visitors can engage in various cultural activities such as the traditional tea ceremony, Japanese calligraphy, origami, kimono dressing and much more. Maikoya Osaka is the only place in Japan where visitors can meet and chat with a maiko in training anytime of the year. Learning about a country through cultural workshops and activities will give you a better understanding of our intricate history, valued social principals and holistic way of life. 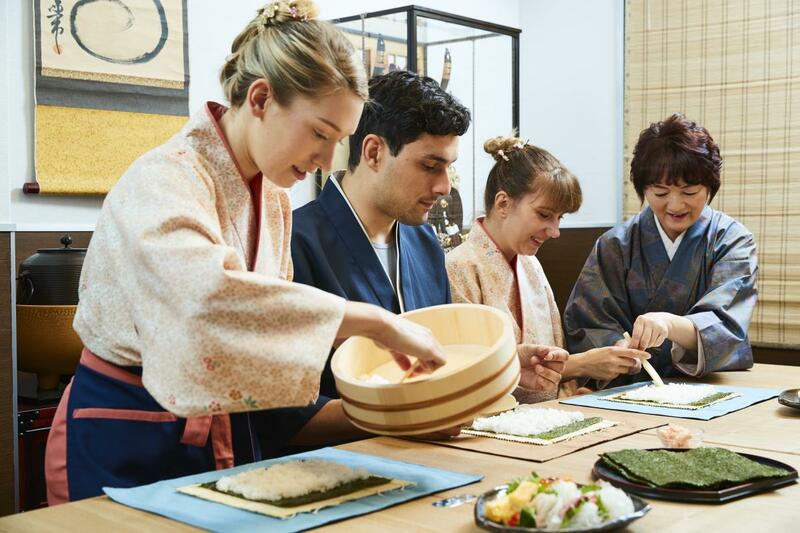 By learning about Japan and its people through activities and lessons such as tea ceremony, kimono dressing, Japanese cooking and the life of a samurai, you will be immersed in different perspectives and approaches that are unique to this country. Maikoya offers you opportunities to understand this culture through local instructors and guides. There is no better way to learn about a new place from the viewpoints of those who grew up and live in this amazing country. What better way to spend a day than learning a traditional, beautiful new activity with a knowledgeable tutor in a picturesque setting? You wouldn’t find friendlier people to help you experience Japan in all its splendor. *** Please let us know if you have any food allergies, Halal, vegan or vegetarian preferences. 1- Do you accept walk-ins? For tea ceremony, kimono experience, calligraphy and the samurai experience we accept walk ins. However, there is a possibility that you may need to wait sometime to be served if you show up without any reservation. So, we kindly recommend reserving in advance. 2-Do you have kimonos for kids? Yes, we do have small size kimonos for kids. Just let us know the age/height of your child in advance. 3- Can I walk outside wearing the kimono for the rest of the day? This depends on the season.Some seasons we allow the customers to walk outside and take pictures. We have the kimono rental option, for a small additional fee you can stroll the streets of Osaka or visit Osaka castle by wearing a kimono for the rest of the day. 4- Do you provide any hairdo services? Yes (for females), we will make sure you look your best and your hair matches the traditional kimono style. 5- How far is your location from the Dotonbori area? How far is your location from Umeda? It is about 18-minute walk or 6-minute taxi ride from Dotonbori. It is about 10-minute train ride or a 15-minute taxi ride from Umeda. 6- Do you hold your activities in a Japanese house? I want to see inside of a Japanese house. Yes. You have to take your shoes off to get in and all the rooms have the interior like a traditional Japanese house. 7- Do you have discounts if I want to experience multiple events at once?. For individuals we usually can't offer any discount as we need to prepare for each activity in advance. For groups more than 4, who want to experience multiple activities, please drop us a message with the subject title multiple activities for groups. 8- Do you only show activities or you explain the meanings, symbols etc?. We are the only place that is supervised by college professors and and focus on cross-cultural awareness. Our experiences are lots of fun and also quite educational. 9- Do you have a souvenir shop where I can get matcha tea, tea ceremony set, calligraphy set, replica swords etc. to remember my experience?. Yes, we have a gift shop on the first floor. Corporate inquiries: info@mai-ko.comCopyright © Experience Japan All Rights Reserved.